3PHASE Lingua Group | German courses. 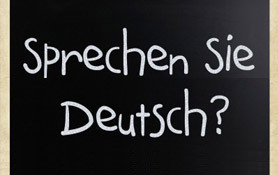 Learn German quickly and guaranteed successfully. Based on decades of scientific research and real-world application, 'Superlearning' assures optimal learning, understanding and recall. The 3PHASE Superlearning techniques activate and focus on both hemispheres of the brain. This opens up vast potential to optimally learn and remember. It also helps to restore fun in the learning process. The key here is quality, not quantity! You will learn much more in less time, and locking the learning into your long-term memory. With the 3PHASE Superlearning method you will be able to learn, refresh and perfect hundreds of words within only a few days! It will be stress free and combine learning with fun and entertainment. We garantee you an optimal learning result within a very short time! WHY ARE OUR COURSES SO SPECIAL? The use of Superlearning increases the learning potential of the student and gives them the possibility to secure the learned content directly into their long time memory. With our teaching method the learning process is accelerated and it works equally well for children as for adults. Our unique teaching method has decades of scientific research and experience behind it and it guarantees the student optimum learning, understanding and easy recall of the acquired knowledge learned on the course. The 3PHASE SUPERLEARNING technique activates and stimulates both hemispheres of the brain, opening up the immense learning potential and enhances the ability to remember the already learnt content quickly and with lasting effect. A very important component of our special teaching method is ensuring students have fun while learning their new language. Our key to success is not QUANTITY but QUALITY. Learn much more in less time and store the acquired knowledge in the long time memory. That’s the aim of effective and long-lasting learning!